Offering you a complete choice of products which include blue potrey door handle. 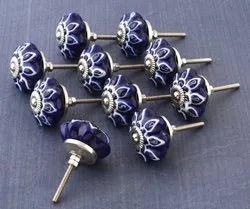 Buy Before we Run Out of Stock on these Set of 2 Handmade knobs! Looking for furniture and door handel ?